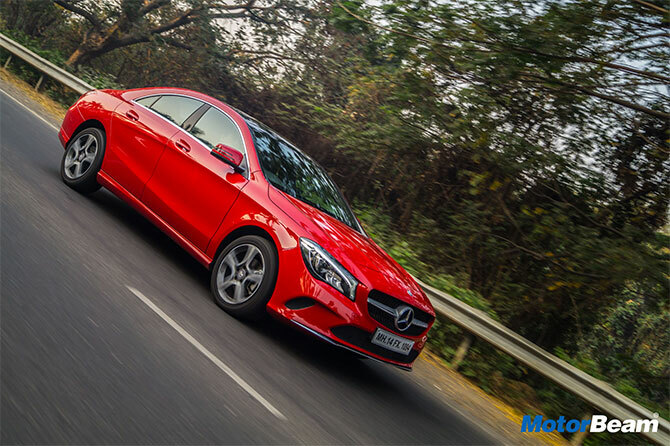 The swoopy and sleek looking Mercedes-Benz CLA gets a slight nip'n'tuck for 2017 and looks a little bit more mature than before. 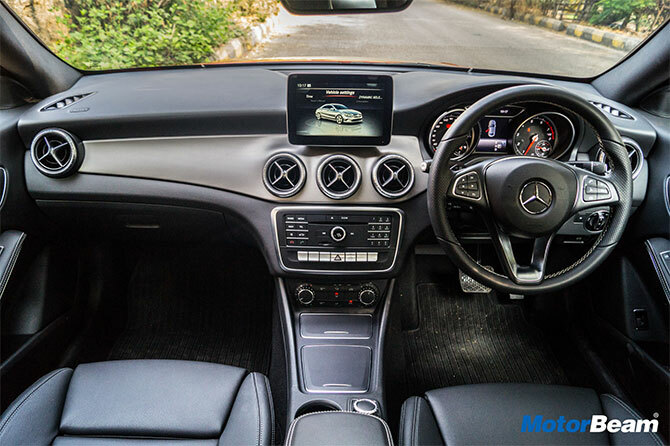 The baby Merc luxury sedan has been instrumental in bringing the brand to the masses and thereby increasing brand recognition among the young and rich. 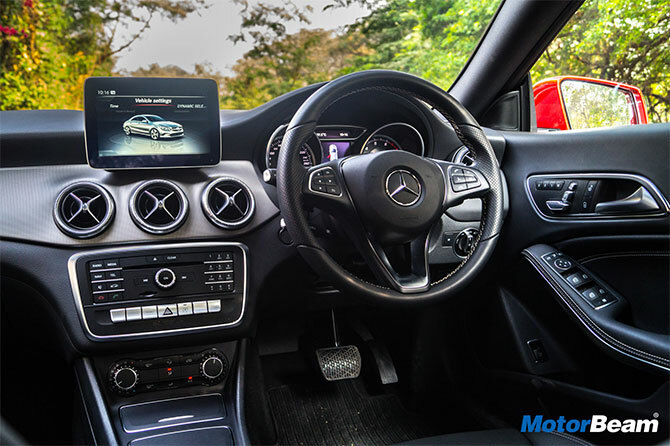 Therefore, the folks at automotive website MotorBeam decided to run the updated luxury saloon through its paces and see how much of the Mercedes-Benz DNA is actually there in this front-wheel drive sedan. 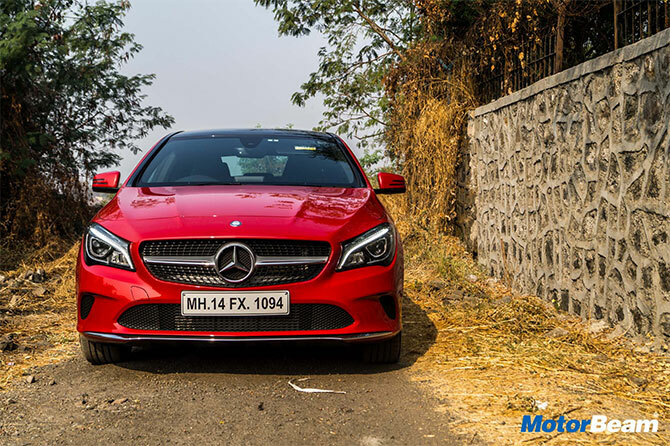 The Mercedes CLA had been designed with one and one purpose only - to shed the 'old man's car' image of the German company and attract the 'nouveau riche' crowd. The plan worked spectacularly and people bought the CLA sedan in troves. 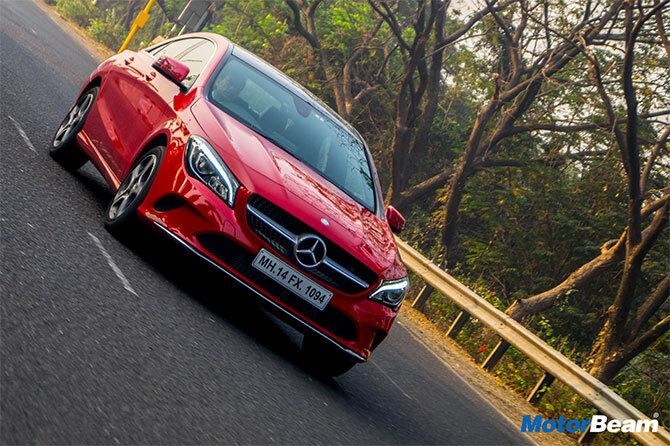 Now Mercedes has updated the car to its 2017 spec for India as part of a mid-life facelift. Changes are very subtle on the outside and one may even miss them if one is not paying attention. 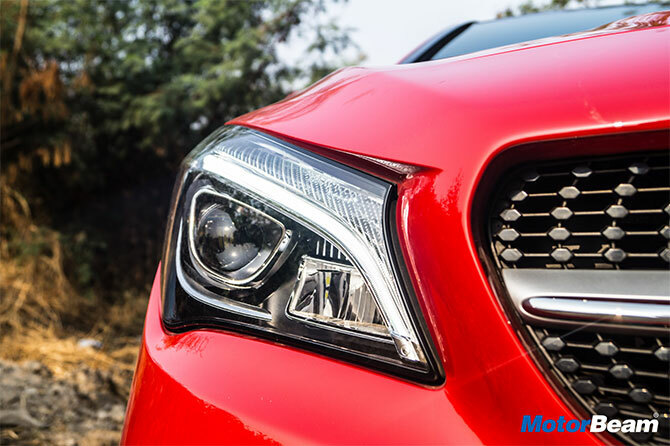 The front bumper gets an aluminium-finish strip at the bottom. The side profile remains unchanged and we're glad Mercedes didn't make changes to the design of an already beautiful car. The tail lamps also get a redesigned look. Things are largely unchanged on the inside. The dashboard looks like it has been inspired from the 60s and carries the familiar look which is a blend of sportiness and functionality. The seat upholstery gets a new design and the COMAND system now gets a new firmware and an 8.0-inch screen, with Apple CarPlay and Android Auto connectivity. The 3-spoke steering wheel comes with silver inserts and gets paddle shifters and audio/phone controls. At the rear, legroom is a bit limited but the seats are comfortable. As usual, due to the sloping roofline, headroom gets slightly affected. 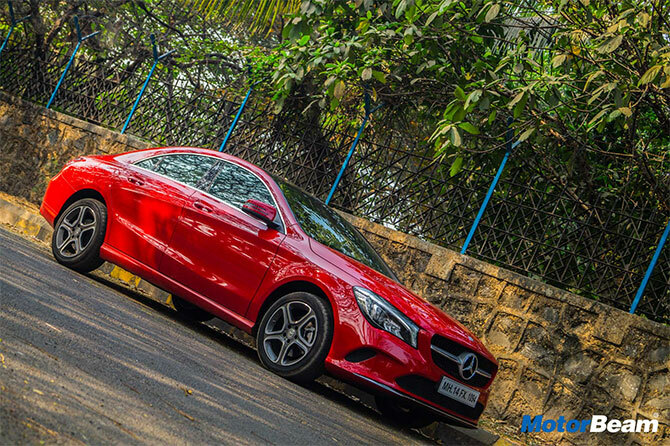 The facelifted 2017 Mercedes CLA gets the same 2.0-litre petrol and 2.1-litre diesel engines. The petrol powerplant churns out a wholesome 183 PS of power along with 300 Nm of torque. Mated to the engine is the same 7G-TRONIC gearbox that we've been seeing since quite a while on various Mercs. 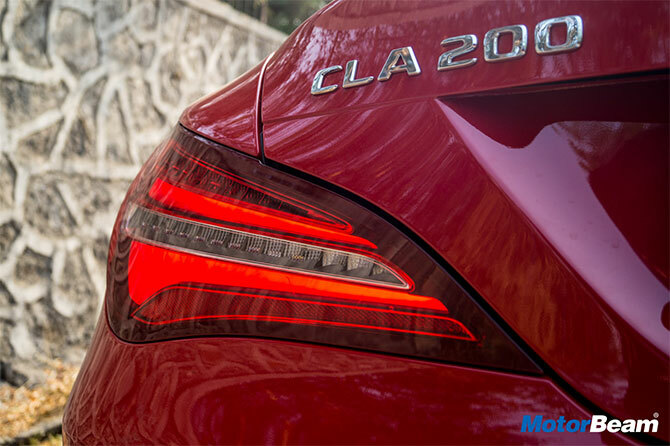 The petrol CLA has a top speed of 235 km/hr while 0-100 km/hr comes up at a notch below 8 seconds. The diesel engine is the familiar unit we've seen on some other Mercedes cars and we've always liked the oil-burner. The Mercedes four-pot petrol engine is as always super refined. Drivability in the city is stress-free and low-end performance is pretty good. Things get even better post 1500 RPM when the power surge starts to increase. The mid-range is punchy and there is some steam left even at higher RPMs. At high speeds, the gearbox does a great job but it feels a bit confused at city speeds. Sport mode lets you explore the full potential of the car and the exhaust sounds sweet near the redline. Since Mercedes has tried to position the car as youthful and sporty, the ride is a bit on the stiffer side. The ground clearance of 160 mm is decent enough but you might have to tackle some nasty speed breakers sideways. The steering is light at low speeds. Once the speeds increase, you can feel it weighing up. 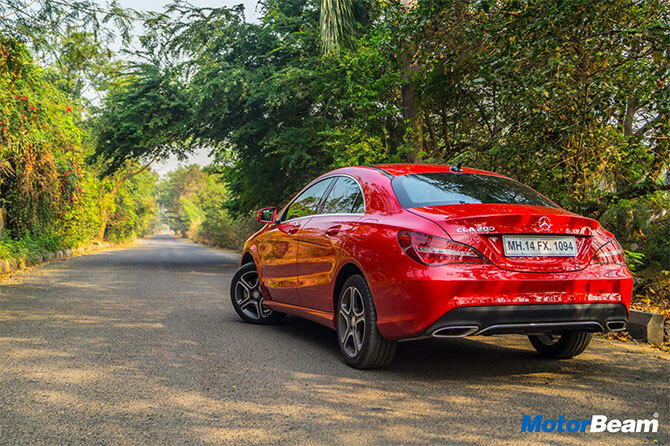 A trait common with Mercs, the brakes are brilliant and the CLA does no drama on hard braking. It is also very aerodynamic and this stability during high-speed straight line runs and aggressive cornering is splendid. Conclusively, it can be said that the Mercedes CLA gets you a ticket to the high flyers club and it is targeted towards the younger generation, aka the millionaires. The car doesn't have any major flaws. It looks gorgeous and is offered with some attractive colours too, thus guaranteeing you a lot of attention wherever you go, with the big tri-star logo giving a good sense of self-pride. 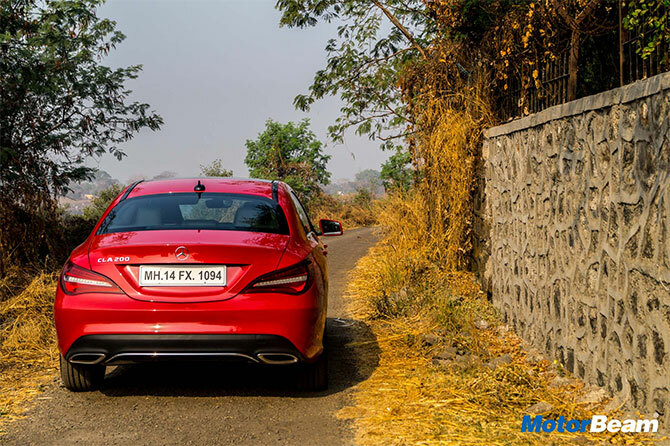 The changes aren't major but they make sure that the Mercedes CLA continues to appeal and doesn't feel outdated at all.